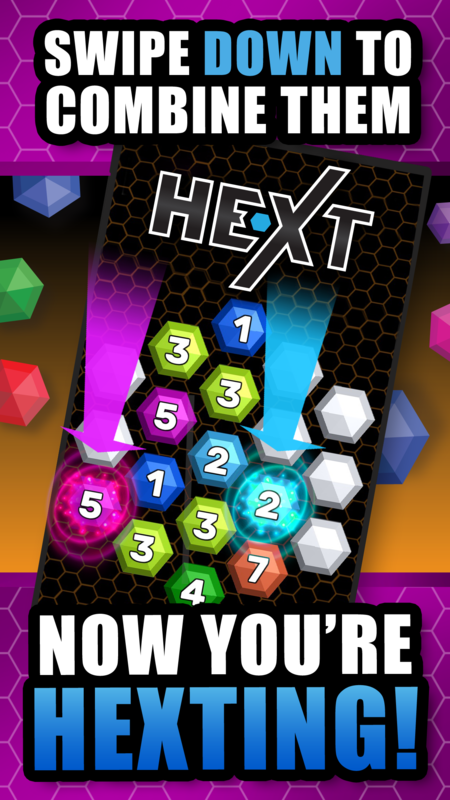 A colorful number matching game with a twist, Hext is both easy to play and addictive! 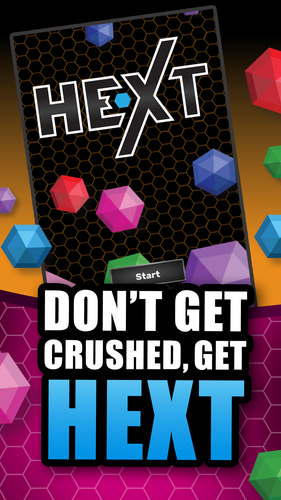 Nineteen small hexagon tiles are arranged in one big hexagon. 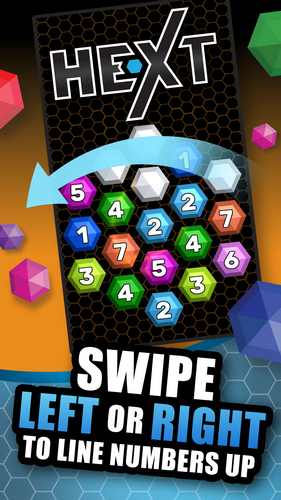 Swiping down collapses and combines like tiles into the next biggest number. A new random numbered tile appears with every slide down. The twist is that you can rotate the large hex left or right as much as you want, changing the lineup of tiles. 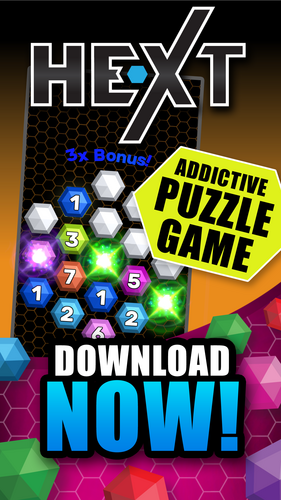 Keep combining tiles until you get to the 13 tile or have no more moves. Directions: SWIPE DOWN to collapse the tiles down to combine tiles with the same number (Two "5"s become a "6" for example). Tiles will combine if they are adjacent or if there are only empty tiles in between. 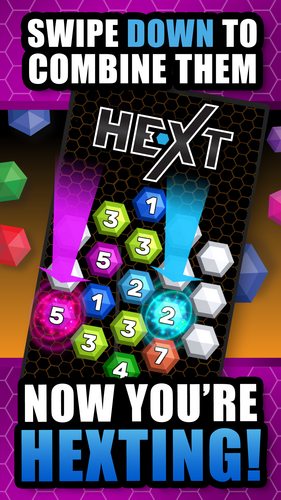 SWIPE LEFT or RIGHT to rotate the hex and change the alignment of tiles. Your score will increase each time tiles are combined. The goal is to get the "13" tile. Good luck!